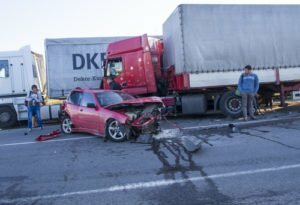 Unlike cars and bike accidents, truck accidents can have devastating ripple effects, leaving several properties damaged and injuring lots of people and in worse cases, sending unlucky folks to their early graves. While getting a lawyer would naturally be the last thing on your mind if you or a loved one is involved in a truck accident, it’s advisable that you make plans for getting a reliable Alhambra truck accident attorney in the city you suffered the accident. If the accident occurred in Alhambra CA, be sure to go for an experienced truck accident attorney in Alhambra who is knowledgeable about the state laws and the truck regulations in Alhambra. This is very crucial to come out victorious in your pursuit of compensation. At Rawa Law Group, we have a team of experienced attorneys ready to take up your case and fight tooth and nail to win your case. Our truck accident attorneys know the state laws and focus on helping Alhambra claimants get compensation for all the suffering and pain the truck accident inflicted on you. Rawa Law Group attorneys have over 55 years of collective experience and use this to provide aggressive yet result-yielding representation for clients. Our truck accident attorneys are capable of handling any truck accident cases including semis and 18-wheelers. With hundreds of millions recovered for our different clients, we have shown that we are masters of such cases and our strong advocacy for the injured sets us apart as a law firm with compassion. If you or someone you love has been involved in a truck accident in Alhambra CA, let us help them get the settlement you deserve. Contact us today to book a free case evaluation session.